Dan is currently maybe the best Romanian coach into activity. His professional coaching career truly started in 2008, when he took over the newly promoted CSM Satu Mare team and, having the objective to finish in the 8th place and advance to the playoffs, Dan took the team to win the Bronze medals in the 2008/2009 season. In the next season 2009/2010, having objective to finish no less than 6th place with CSM Satu Mare, Dan has finished 4th in championship and has won the Silver medals in the Romanian Cup also finishing 4th in the Central European Women League. In the 2010/2011 season, he stayed at CSM Satu Mare having objective to finish no less than 4th place and Dan Fleşeriu once again overachieved, winning the Silver medals in Championship and in the Romanian Cup. In the 2011/2012 season, having the same objective he finished again wining the Silver medals in the Championship, as well as winning the Bronze medals in the Central European Women League. In the 2012/2013 season, having the same objective as in the previous two years, he had won the Bronze medal in the championship. In this season, the team he coached played Eurocup, but was placed in a group with Chevakata Vologda (which advanced to the semifinals of Eurocup that season) and Lattes Montpellier (which advanced to the Final Eight and was defeated by Dynamo Moscova, which won the Eurocup in that year), finishing the group in 3rd place. 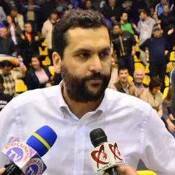 In the 2013/2014 season he signed with the Romanian powerhorse C.S.M. Targovişte and, in a season in which the objective was not necessarily winning the championship, Dan once again overachieved and won the Romanian Championship after defeating in 4 games out of 5 the rivals of ICIM Arad. As well, in the Romanian Cup he had won the Bronze medal. In addition to this award, he has corralled multiple others, including All Star Game honours in 2009, 2010, 2012; Romanian Coach of the Year in 2009 and 2014 . Dan is a hard worker and breaths through basketball. He is a modern coach, which likes to mix up a lot of defences styles, being one of the few coaches that uses complicated defensive plays (1-3-1 zone; 2-2-1 zone; half court traps; diverse pressing plays) . He has an excellent professional relationship with his players, relationship that can be carried out in the best way because of Dan’s personality and of his excellent physiological skills, given the fact that Dan has a Bachelor Degree in Psychology. Romanian Cup, 2014/2015 season. CSM Targoviste vs Sepsi SIC St. George 73-60. Game played in 20th of September 2014. Romanian 2014/2015 season. CSU Alba Iulia 61-84 CSM Targoviste. Game played in the 4th round of the regular season, in 11th of October 2014. Romanian 2013/2014 playoff finals. CSM Targovişte – ICIM Arad. Game 4. This was the 4th game of the Romanian Playoff Finals. The game was played in 7th of May 2015. Before the game, CSM Targoviste had and advantage of 2 games to 1 against ICIM Arad. The finals format was the best out of 5 games. CSM Targoviste won 70-62 and conquered the Romanian title in the 2013/2014 season.